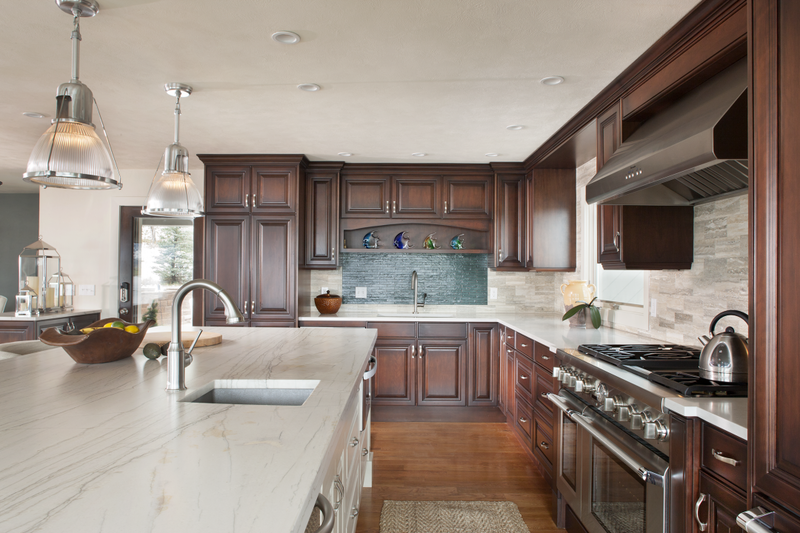 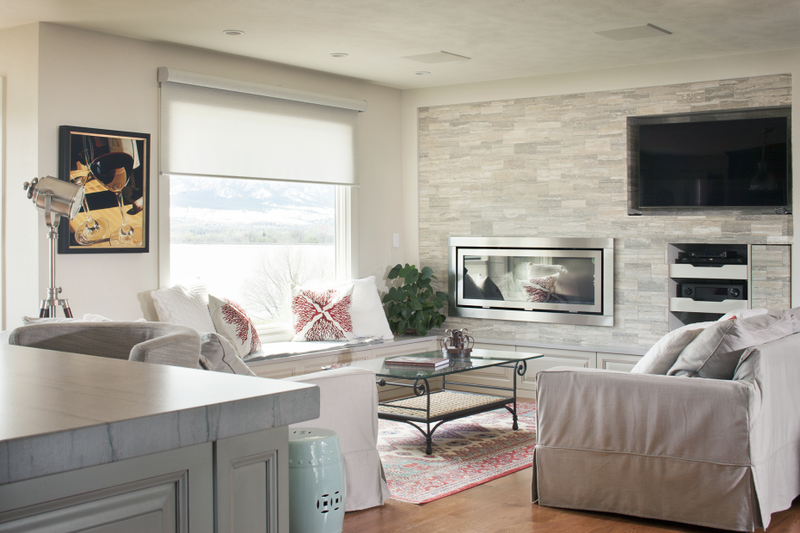 Couple needed to update kitchen and family room to support house with magnificent views. 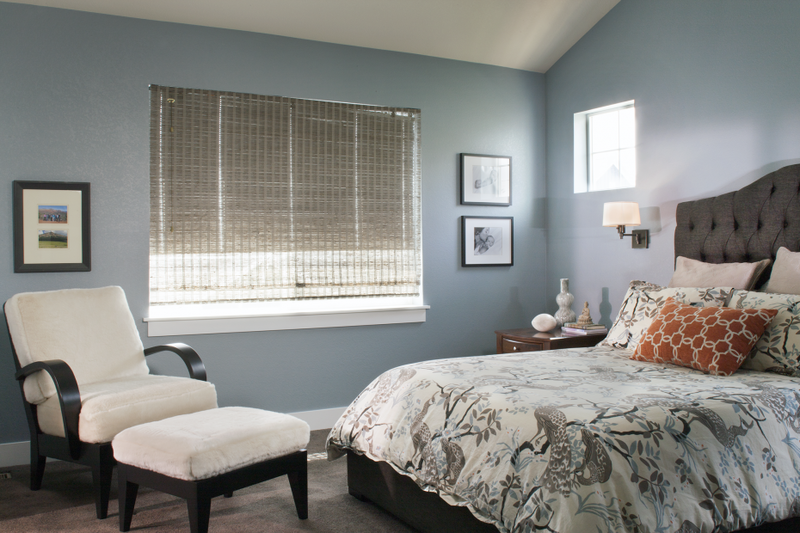 Nautical colors and accents create the feeling of an ocean side property while also working well for our area. 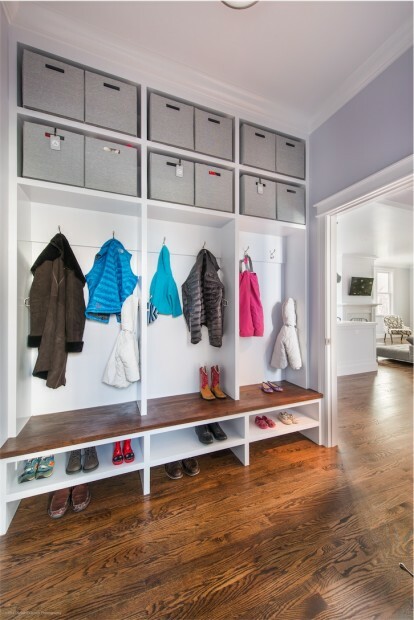 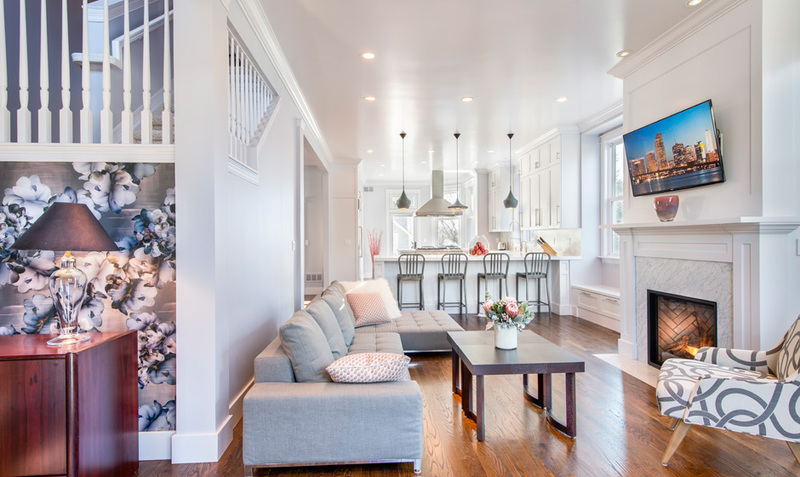 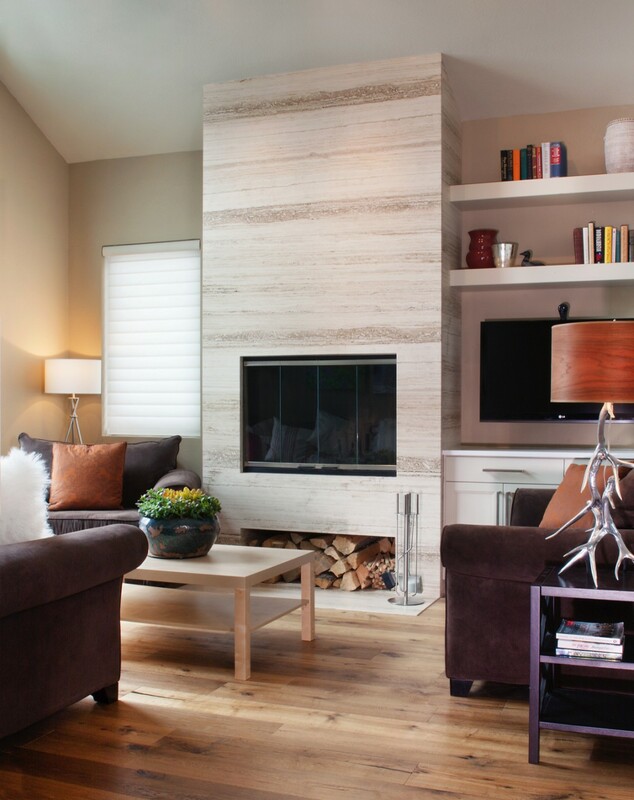 An insurance executive wanted to transform a nondescript townhouse into a contemporary mountain retreat for her family. 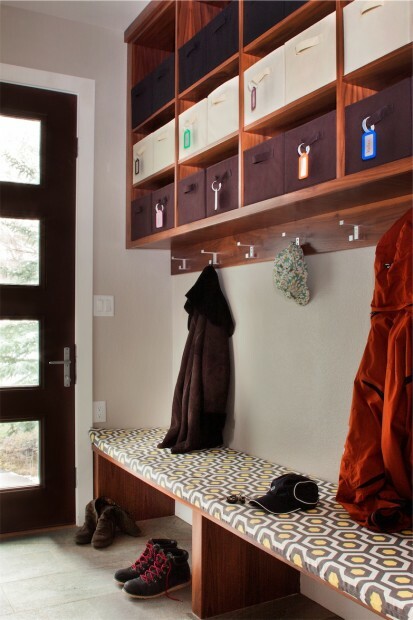 We emphasized luxurious natural materials and added storage areas for their outdoor adventures. 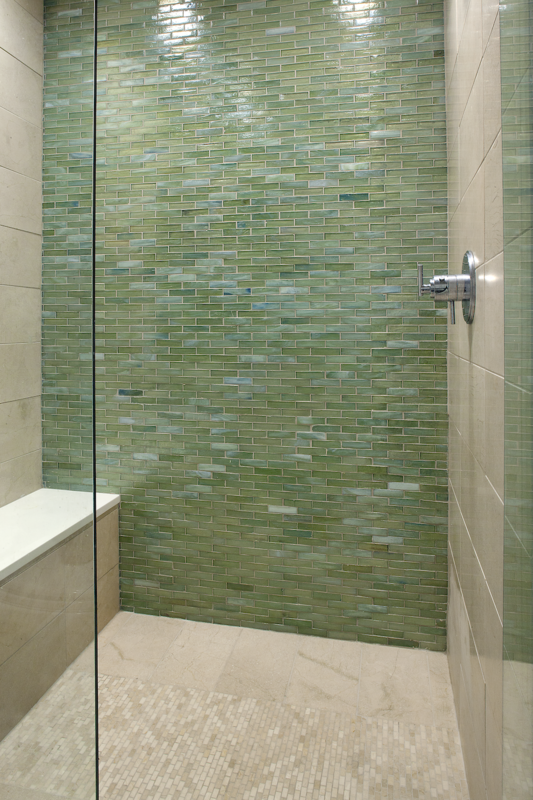 Professional woman wanted a custom feeling for her new home in a new development. 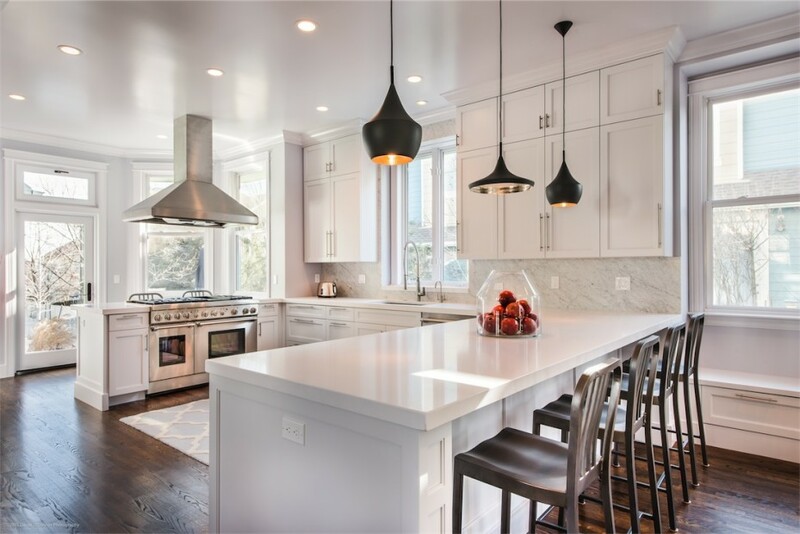 Many materials including flooring, cabinetry, tile and lighting were added after the home’s completion to personalize the space. 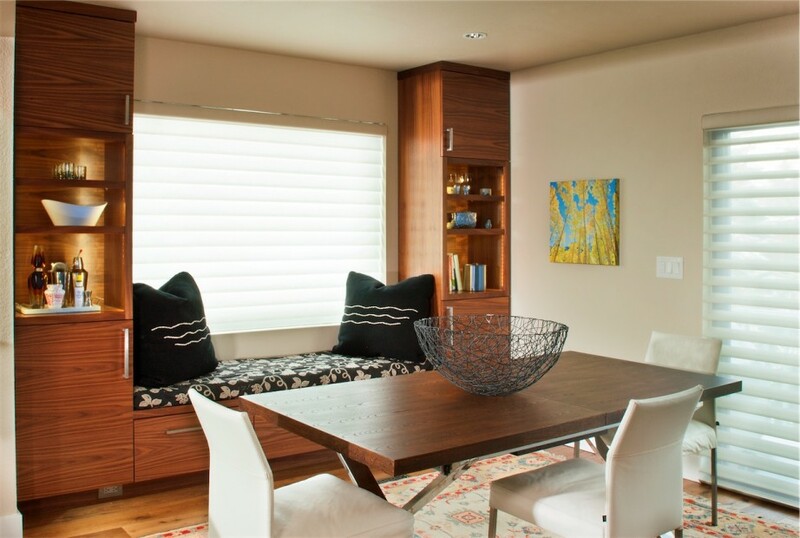 Family affected by the flood took the opportunity to reimagine their lower level. 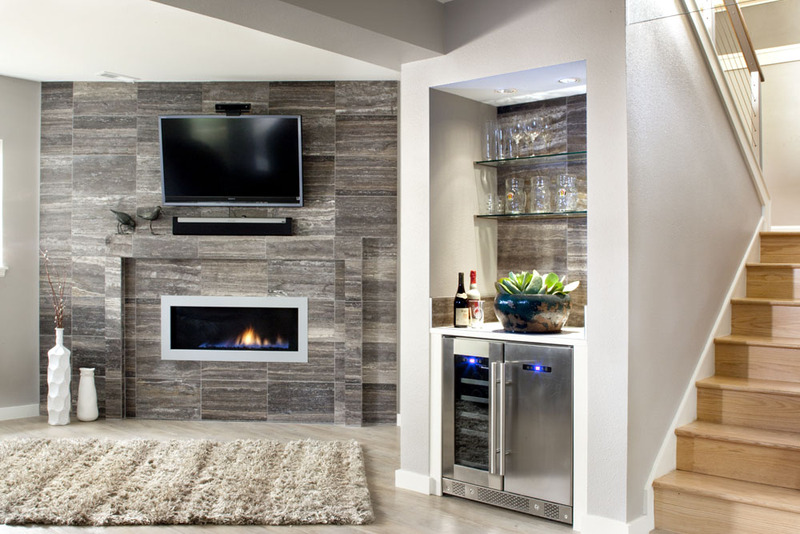 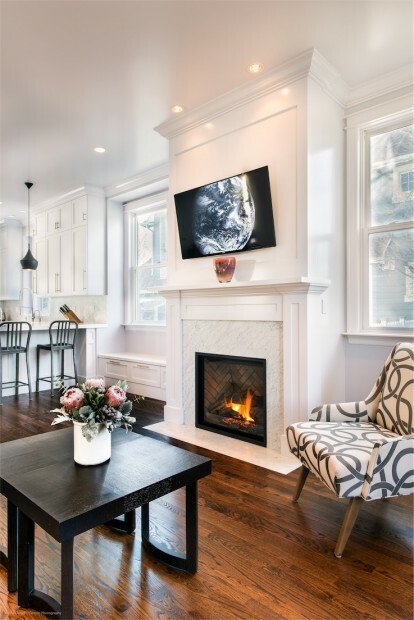 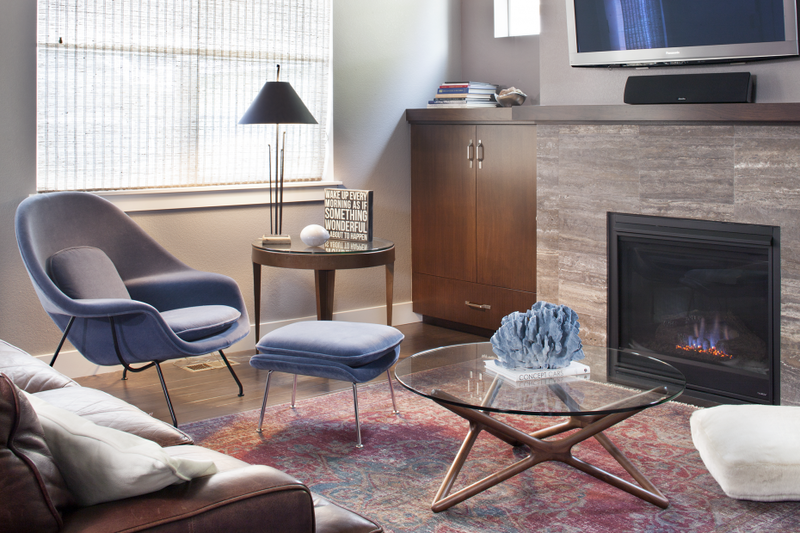 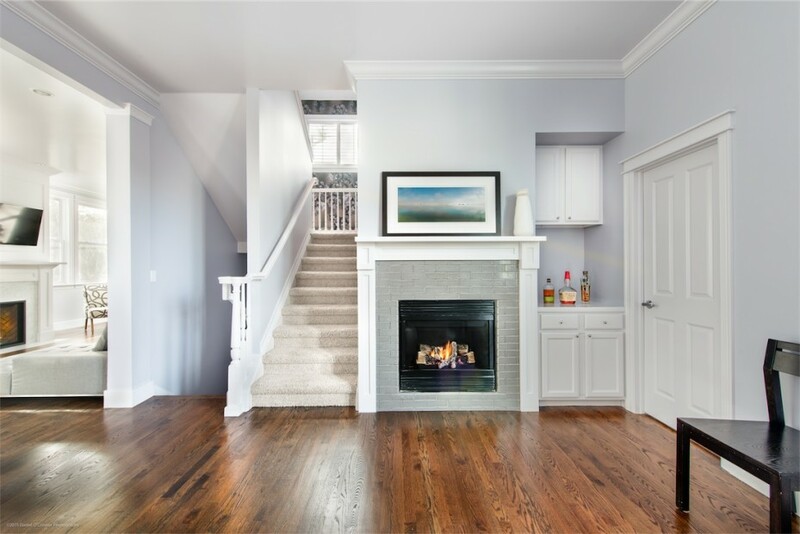 A fireplace and bar area redefined the family area. 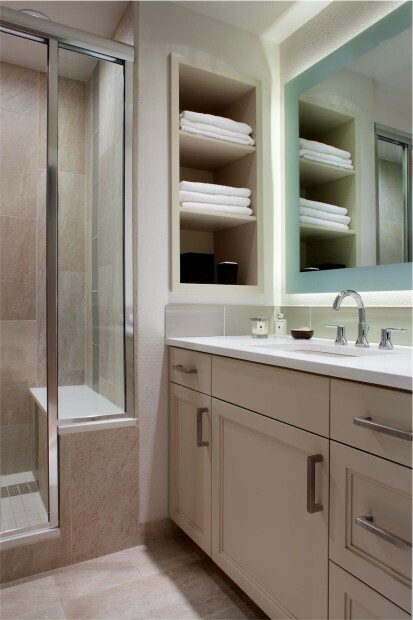 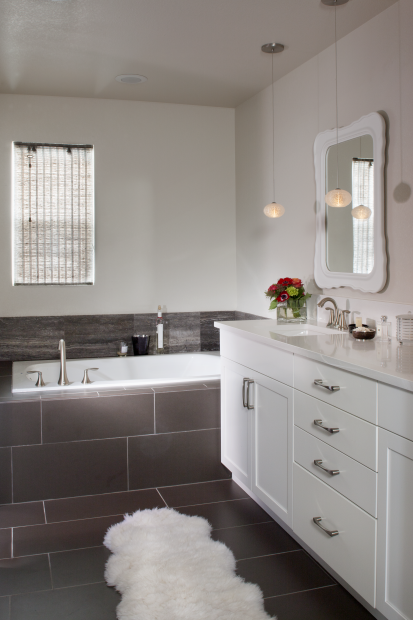 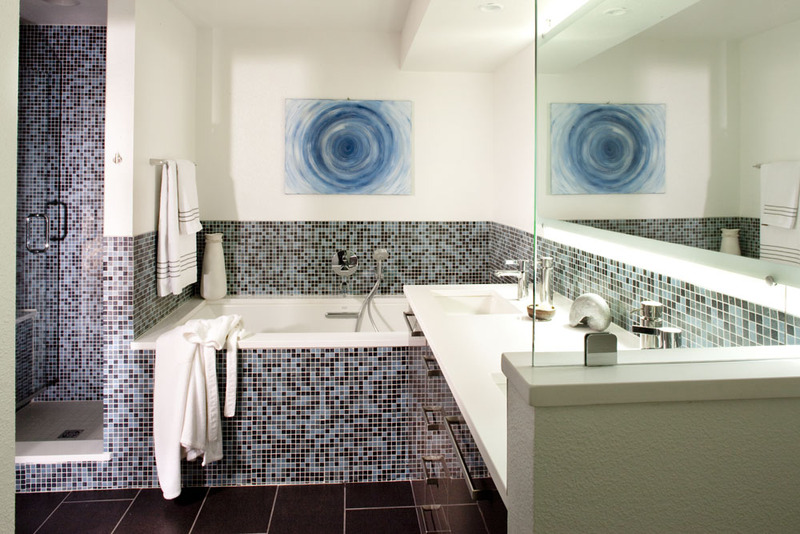 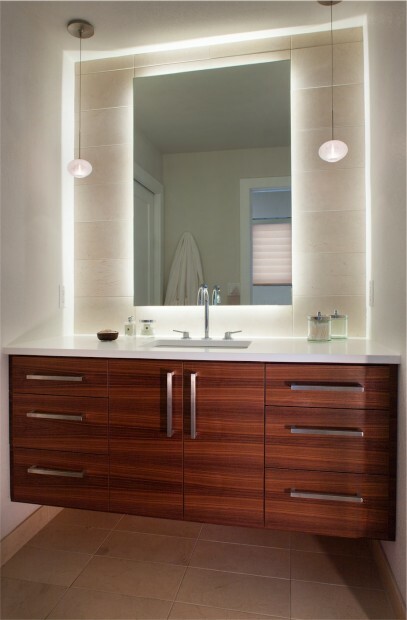 The bathroom was completely updated with contemporary fixtures and materials. 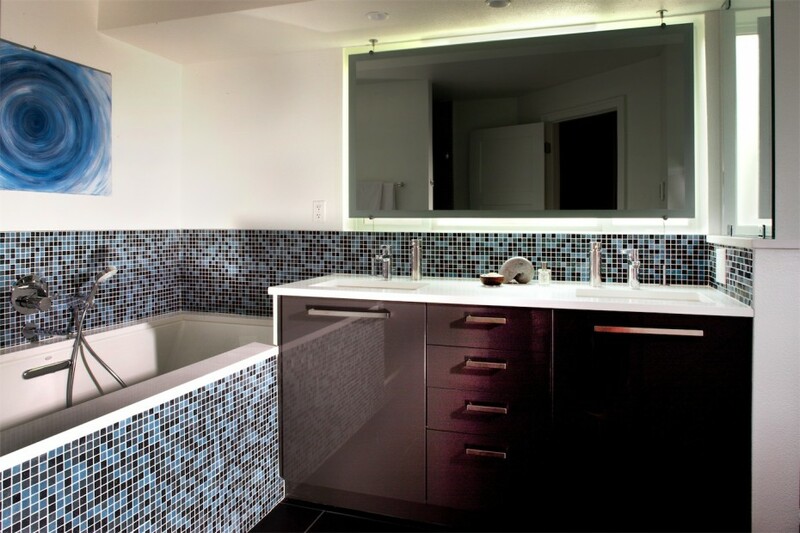 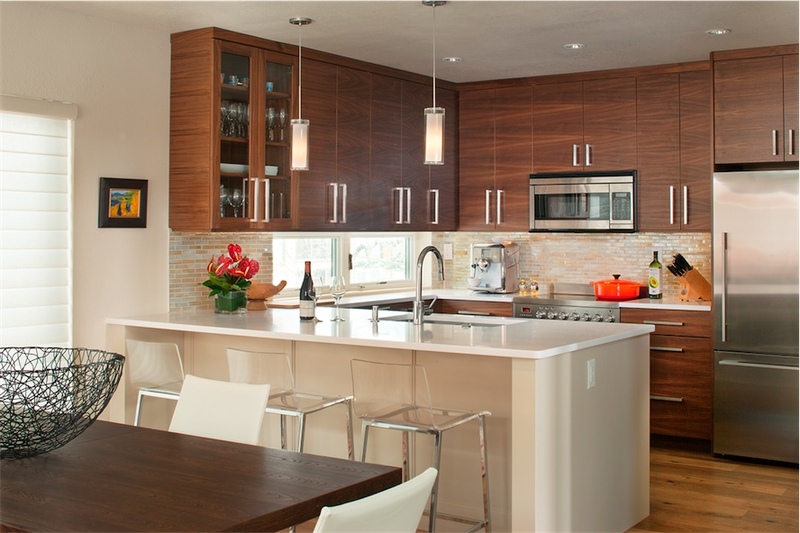 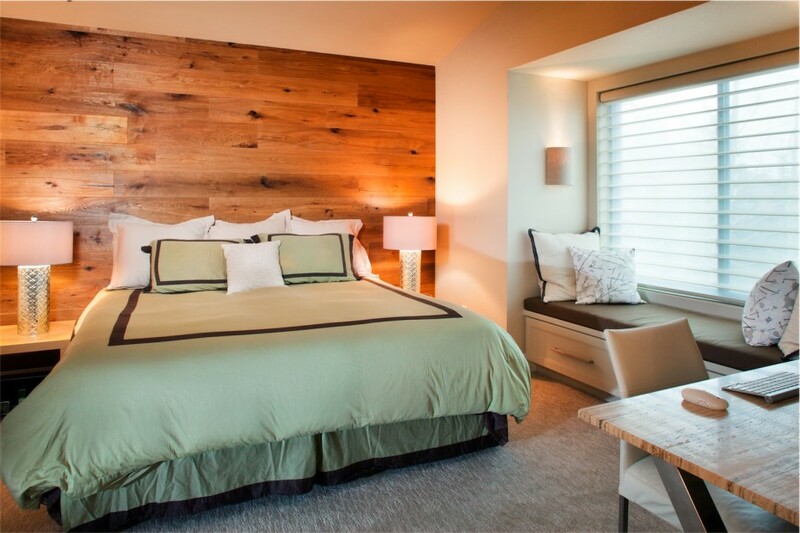 Professional couple wanted to convert several small, dark rooms into a bright, open space for their active family. 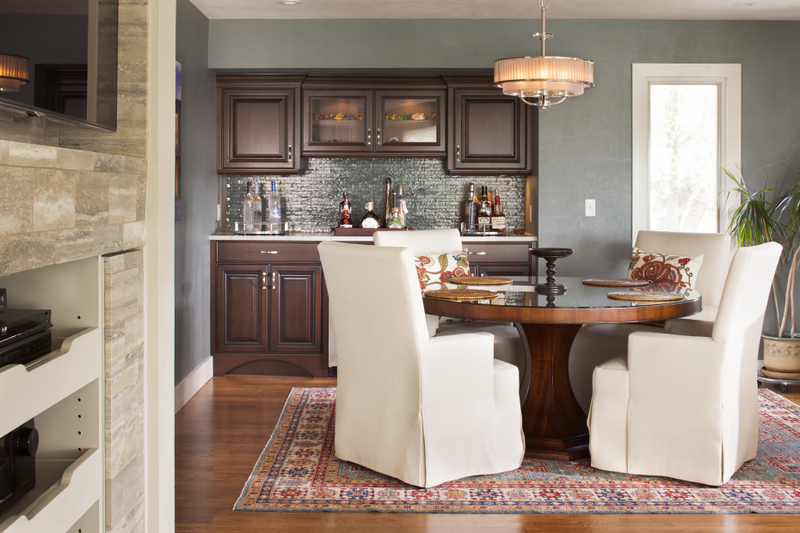 Traditional and contemporary elements were combined to reflect each of the client’s taste.